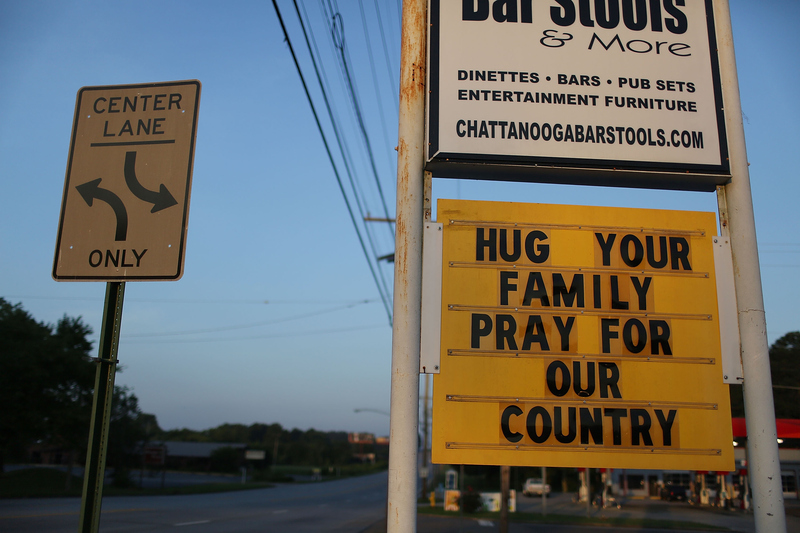 New details surfaced Monday about 24-year-old Mohammod Abdulazeez, the young man who allegedly shot and killed five service members at two separate military sites in Chattanooga, Tennessee. As investigators work to piece together Abdulazeez's motive, the FBI has obtained the Chattanooga shooter's diary, in which he reportedly reveals a history of depression and lost jobs, according to ABC News. The 24-year-old's diary is just one snapshot of his troubled life emerging in the wake of the deadly shooting, which many believe qualifies as a domestic terrorist attack. According to reports from the FBI, in his diary, Abdulazeez discussed his depression, which plagued him as far back as 2013. The 24-year-old, who was born in Kuwait but became a naturalized American citizen after moving to the United States, reportedly lost his job two years ago due to drug abuse. He wrote in his diary that he had suicidal thoughts and wanted to become a martyr, ABC News reported. A source close to the family added to ABC News that Abdulazeez fell deeper into depression over the last two years. He also allegedly abused a variety of drugs, from opiates to sleeping pills. It also appears Abdulazeez had a trouble with alcohol, having received a DUI just three months ago, on April 20, according to the Associated Press. The AP also reported that the young man was admitted to an in-patient drug and alcohol program sometime over the last year. The FBI is still searching for a motive behind the Chattanooga shooting, which occurred last Thursday at two military centers just miles apart. The shooting left four Marines and one sailor dead; Abdulazeez was also killed by gunfire. FBI officials have not declared the deadly shooting an act of terrorism, and cannot yet confirm that Abdulazeez had ties to any Islamic extremist organizations. However, federal officials are looking into Abdulazeez's seven-month-long trip to Jordan, which he apparently took at the insistence of his family in 2014. An unnamed family representative told ABC News that the family sent Abdulazeez to Jordan to “get him away from bad influences in the U.S." His family also maintained to federal officials that Abdulazeez was not "radicalized" or searching for "radicalization" from extremist organizations. There are no words to describe our shock, horror, and grief. The person who committed this horrible crime was not the son we knew and loved. For many years, our son suffered from depression. It grieves us beyond belief to know that his pain found its expression in this heinous act of violence. We extend our deepest sympathies and condolences to the families of the honorable servicemembers and police officers who were victims of the shooting our son committed.